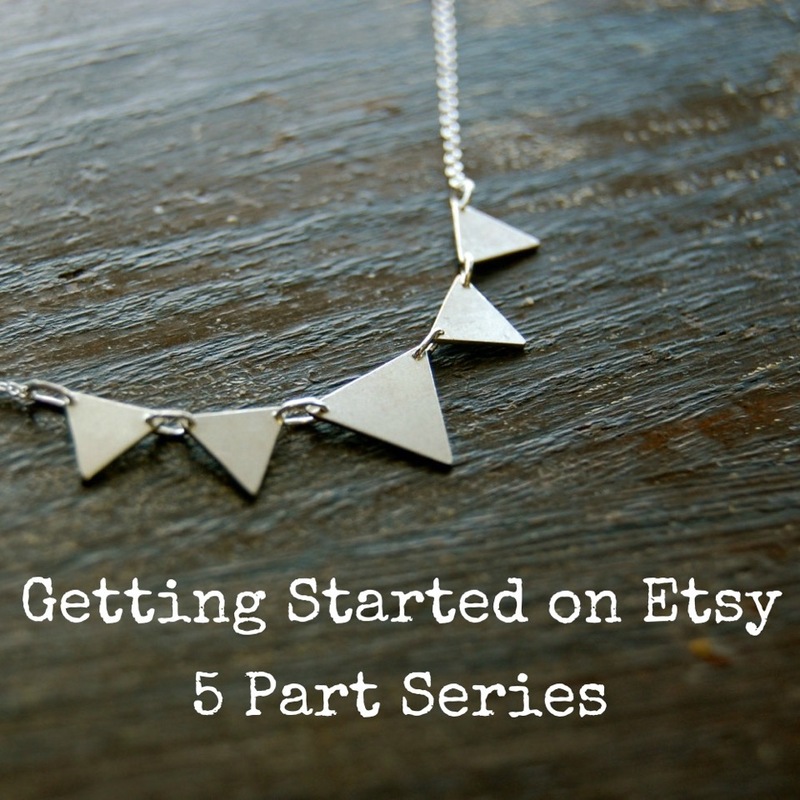 Home / Posts Tagged "etsy calgary"
This is the last one of our vendor introduction posts. I hope you enjoyed the little preview of what’s to come on Friday + already started writing your shopping lists. I can’t wait to see all your lovely faces in just 4 days! 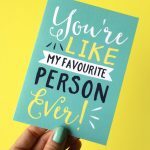 Leanne of Little Me Paper Co. just know how to capture the essence of a thing or a person with just a few lines in her unique whimsical style. Sooo cute and funny! Eeeeek! 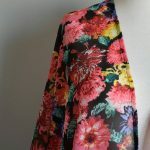 Lindsay of Lost in Layers makes the best kimonos this side of the pacific! Colourful, flowy and perfect for layering – which is the best thing about fall, right? Little W Studio are Christin and Evan. 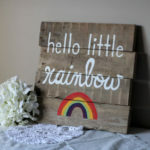 And their creations are super pretty signs made out of wood. 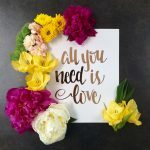 Beautiful calligraphy with a rustic touch. Sweet! Last but not least, I should probably introduce myself. 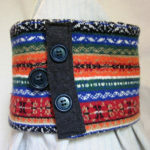 I’m Leonie and I designs and make fun headbands, scarves and other awesome accessories from vintage, reclaimed and retro fabrics with my brand Maple And Oak Designs. Light Tech if you like quirky but useful things, this is the place for you. 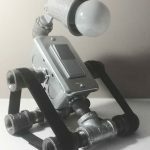 These two guys love to make interesting lamps! Jenny of Hop’n’Flop loves to draw whimsical animals and make silly puns. We love her for it! Illo Leather is Sara’s passion. She makes beautiful and minimalist leather creations – everything made without the use of any machines. Gorgeous! 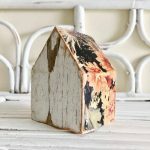 Homebody by Sara Girletz – this Sara shares with us her unique collection of vintage, edgy, upcycled, mixed media art and home decor. She really likes houses, did you notice? 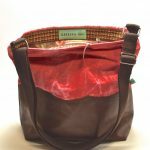 Heidi is the mastermind behind Hekkal & Hyde – her eco-conscious brand for which she fashions one-of-a-kind bags with vintage or repurposed fabrics. They are super stylish while being super good for the environment at the same time, yay! Heather Buchanan loves to paint. 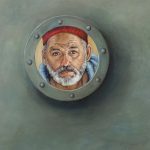 Lots of her delightful paintings have references to popular culture and are just hillarious. And does anyone collect pins? I swear, you’ll walk away with more than one from her booth! 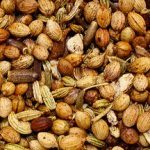 Grounded Tea are handblended teas. The ingredients sound so deliscious – who else is a tea addict? Friday Sock Co. are mismatched matching socks with gleeful motives. 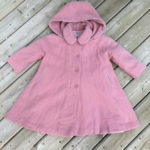 Designed by Adam here in Calgary with the help of his wife Leanne and their cute little daughter Ella but ethically made in Italy with high quality cotton. Yes, please! Claudia draws the sweetest little animals for us with her business Endless Tales. Oh, I could see the room of some little cuties being decorated with these! 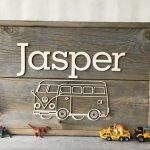 And here comes the next installment of our vendor introduction series for Etsy: Made in Canada in just a few weeks here in Calgary! 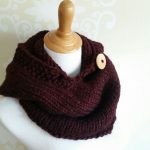 Romina of Wooly Gems crochets and knits the coziest shawls and mittens and tops and lots of other comfy goodies. Oh, I can’t wait for fall to cozy up in one of those! Beautiful carved white porcellain with dark and golden designs are White Owl Porcelain’s specialty. 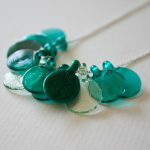 Laura’s creations are delicate and wonderful! What a brilliant idea! 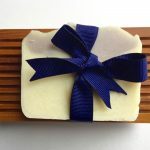 That’ a Bees Wax Wrap – the name explains it all. 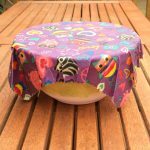 An ecofriendly alternative to plastic wrap or sandwhich bags, we love it! 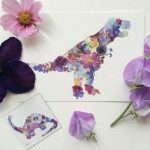 Suzanne of Tinged draws intricate and colourful creatures. 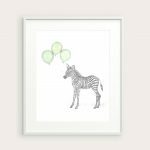 And of course you can find her high quality prints at our market! Shop Jot is Cori’s creative endavour. She makes the loveliest acessories for writing instruments. Perfect for back to school! 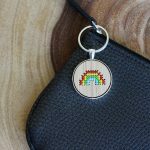 Shop JaMi makes printed coin purses, fabric earrings and much more. So adorable! 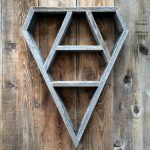 Wooden boards, cute growths charts and hexagon shelves are what Mug’s Emporium designs and fabricates. How sweet are these? I feel like almost everyone is doing yoga these days and for a good reason. Too feel even more comfortable in your body, you should try Muladhara Yoga wear. Fun and comfy! Needle And Pine are a sweet husband and wife duo with a huge love for our mountains. So bring the mountains into your home with their mountain pillows and mountain shelves! 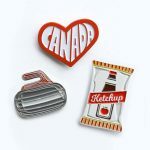 Are you already getting excited for Etsy: Made in Canada Day? Well, here are some of our fabulous vendors so you can already do a little pre-shopping! 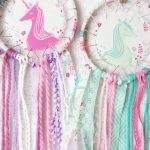 Sarah of Bubblegum Sass always finds the cutest fabrics in the sweetest colours to make her Love Catchers. My favourite is definitelt the flamingo! Which one is yours? BARK yyc was inspired by Rhonda’s furry babies because our puppies deserve to look just as chic as their owners. 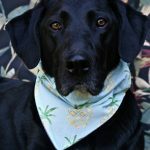 Pet bandanas or pet bow ties, I’m pretty sure you’ll find the perfect accessory for your four-legged friend! Christian Bjorn likes to make things. Especially super elegant and stylish furniture from beautiful woods. Ahhh, now I need to start redecorating! Drizzle Honey was founded by Aja had the opportunity to lead a rooftop beekeeping project. I mean, that already is super cool! But it’s also raw honey which means all the vitamins, enzymes, and other goodness is still in the honey. Oh, yum! 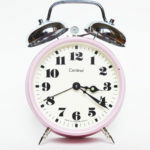 Meryl loves all things vintage + handmade + home decor. 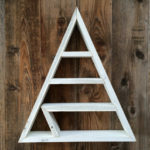 To combine those passions, she started Inspired Findings where you can find her upcycled and handmade home decor items. Especially her signs caught my eye! 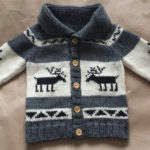 Rebecca of Kasual Kiddo Handmade has something for your little ones. 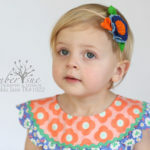 Printed t-shirts, crochet bonnets and pretty bibs. So adorable! Lara Lamb has not only the prettiest name, she also makes the prettiest, nicely fragranced and natural body products. 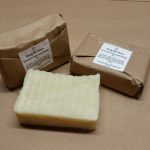 You just have to love Lamb’s Soapworks. Talking about pretty things: Ayla of Gypsy Skulls collects flowers, presses them and turns them into art pieces. 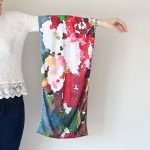 That by itself is already wonderful but she doesn’t stop there – she also turned her most popular pieces into wearable art! 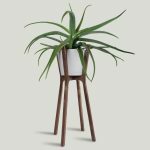 Mind the Minimal stands for minimalism and concrete home decor such as planters, coasters and ring holders. They designed their collection to portray the effortless side of beauty and it really does. 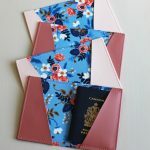 I have to say that I’m always looking forward to my ‘Etsy-Calgary-blog-post-writing-day’ because it’s so much fun to discover more about all those fantastic artisans that are part of this year’s Etsy: Made in Canada Day. I hope you have as much fun as I do. Do you love baking? 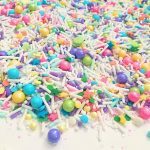 If you don’t love baking yet, you will definitely love it once you saw the colourful and fun baking and party accessories that Samantha of The Sparkling Pantry makes and curates. Colour hooray! 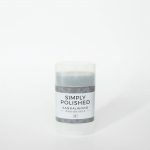 Simply Polished – and their products are just like their branding: clean, simple but elegant. And that’s what we want to put on our skins, right? 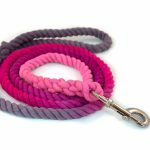 I already want to adopt a doggie so badly but now that I’ve seen the beautiful and colourful leashes that Shannon of North Range Dogs constructs, I want one even more! Maybe those pretty leashes will convice my landlord? 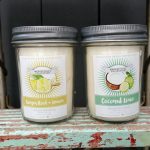 Natura Soy Lights make the loveliest fragranced candles. 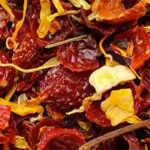 From tropical delights to ‘manly’ perfumes, there is something for everybody. L Rempel Art the L stands for Lindsay and Lindsay stands for gorgeous textiles that start out as watercolour art work. 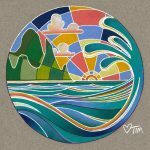 While she’s inspired by landscapes and experiences, her art will inspire you, we guarantee. 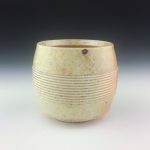 Leanne of Keramikk Pottery is functional and elegant. Her neutral colour scheme is complimented by a modern design. 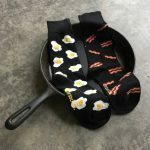 I can totally see these in my kitchen! Create That Charms is Bridget’s jewellery line. While there might be a lot of jewellery out there, her creations might be among the best. Why? Because sweets!!! 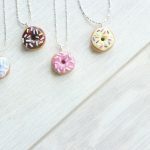 Kawaii dessert neclaces anyone? 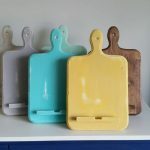 COCREATEco modern wooden shelves and pastel concrete dishes. This wife and husband duo creates everything together while taking inspiration from their architectural roots. 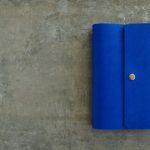 Amarin Collection are the super useful passport holders and little pouches designed and made by Paweena Amarin. Pastel colours and floral fabrics = perfection! 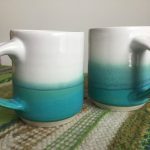 It’s a bit grey out today, so I thought I’d sweeten your day with the introduction of a few more of our vendors for this year’s Etsy: Made in Canada Day here in Calgary. We’ve got so many wonderful artists, artisan and designers this year and each of them makes a unique product. I wish someone would give me enough money to buy one item from all of them! 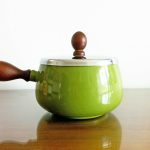 Heather of Toute Petite Treasures collects and curates vintage kitchen accessories and other beautiful vintage treasures. Shopping with her feels like treasure hunting in grandma’s attic and who doesn’t love that? Grace and Parker are stylish and modern teething accessories to make life a bit easier for the little ones when their teeth are coming in – and thus for their Mamas, too. Well, thank you, Christine! 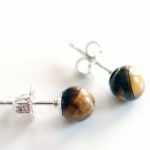 Amanda Parker Design gorgeous jewellery and pretty accessories made from glass, polymer clay and recycled materials by the one and only Amanda Parker here in Calgary! 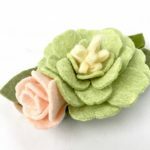 Treasured Peach – Mandy makes the most adorable felted flower headbands and home decor for, in her own words, a treasured childhood. Sweet! Mynthia creates ceramic dreams. 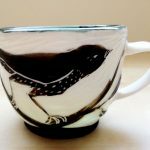 She enjoys experimenting with new forms, glazes, clays and firing methods. And we enjoy her art. 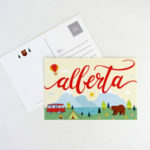 Fairgoods Lauren and Shauna love fonts and Canada and seriously fun gifts. And I mean, who wants to go through life without a pretty patch that says ‘Sorry’ or a pin in the shape of ketchup chips, eh? 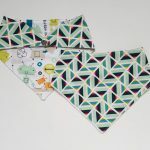 Twelve Paws make pretty bandanas and collars for doggies. They say that even your furry friends should be able to express their character through accessories and I couldn’t agree more! 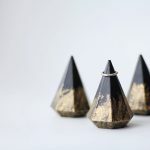 Melissa Pedersen is a momma of three little boys but can be found in her studio working on her exquisite silver jewellery designs every day during nap time. Stitch plus Stitch wood and cross stitch DIY kits? Yes, please! Jill is designing the most adorable little evening projects for us. OH, WOW! 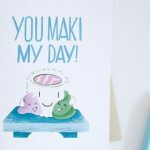 It’s this time of the year again where I’m introducing all of our lovely vendors for the Calgary 2017 edition of Etsy: Made in Canada to you. So much talent in our beautiful city! 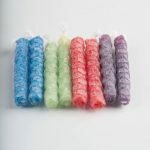 Let’s start with YYC Beeswax : Lisa got over her fear of bees while making wonderful candles and lip balm from beeswax! Whylime Designs’ Emily loves cats, chocolate ice-cream and staying up way too late. And when she stays up too late, she’s probably creating her sassy greeting cards. Do you like Harry Potter? 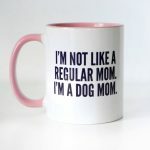 I sure do and Laura of White Willow Wearables definitely does. 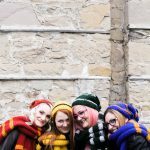 And she loves knitting, so guess what – she’s knitting nerdy accessories for you now! 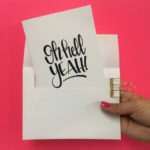 Stevie And Bean Papeterie design gorgeous stationery to inspire and amuse. We can’t get over how pretty it is! Tim of My Balls Your Walls loves the flow of movement and creativity. I’m pretty sure you’d like his abstract spherical art balls on your walls. I am so excited aboutLets Get Unravelled. 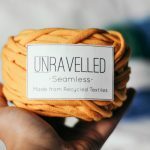 They make yarn from t-shirts that otherwise would have ended up in landfills. Not only does it help our environment, it’s also really beautiful. Knot And Burl Woodworks is Mike’s way of using his hands instead of a computer. 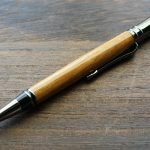 He creates marvellous jewellery and pens from wood. Brent of Khaos Theory Leather fashions super fun and quirky accessories from leather like a baseball hat with an engraved leather picture sewn onto it. Sweet! Manly Man Manes are is Jennifer’s line of affordable skin care for men. Oh, I bet they all smell delisciously manly! The Witches Mark will have their market debut with us this weekend & we’re so excited about that. Steph makes magical talismans to help us through life. And what else is important to get through life healthy? Yes, lovely teas by Grounded Tea. Well, while we’re talking about coziness, have a look at This Darn’d Yarn‘s trendy and cute creations. Britney crochets shark sleeping bags and tiny cacti, sweet! 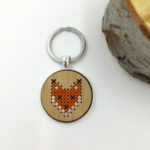 Suzanne of Tinged joins us with a fun mix of jewellery and the loveliest drawings of animals. Really, her style is unique and I highly recommend you to check her out. Tribes + Society stands for beautiful jewellery. And we all know that you can never have to much of that. 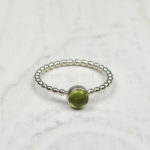 Another brilliant local jeweler is Trish Flanagan who specializes in silver. Oh, the gorgeousness. Is there anything sweeter than baby shoes? No, I didn’t think so. 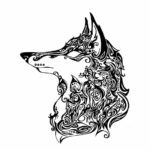 Have a look at the creations of Vi and Jax -seriously, I just want to eat them up. Wee Thing Mee is Kat. 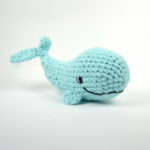 And Kat likes to make adorable babrons and crocheted animals. In the cutest colours. Some people’s baby’s are their pets, so that’s where WLC Studio comes in. 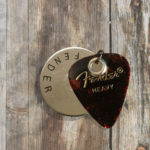 WLC stands for Wanderlust Creatures and they make pet tags from all kinds of up-cycled things. Reem of Xed Creative Design doesn’t play by the rules and we love her for it. 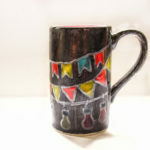 Her pottery designs are influenced by her North African roots and wonderfully adorned and colourful. Thank you everybody who followed me through the whole alphabet of our vendors. It’s been fun introducing all these amazingly creative people and I am so excited that our market is finally happening this weekend. It’s going to be a good one. Hopefully, I’ll see many of you in person! 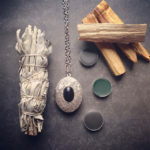 Nicole of Salt Water Tea makes us happy with beautiful jewellery, crystal candles and when she has nothing else to do – which seems unlikely with this energetic lady – she does some knitting as well. Wow! Secret Wool Society my admiration for Megan’s work starts already at her fantastic shop name. 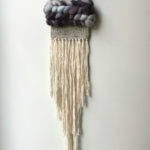 She creates one of a kind woolen wall weavings in neutral tones. Simply stunning. 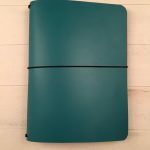 Cori of Jot is there for all you stationary nerds. 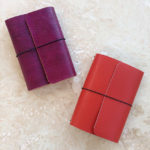 Gorgeous note books, here I come! Simply Entangled by Katelyn adds some wonderfully entangled macrame and woven art to our lovely mix of vendors. Amusing and inspiring stationary is the specialty of Stevie And Bean Papeterie. I’m intrigued by the wonderful fonts they use. 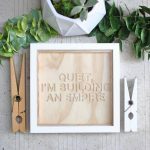 Jill of Stitch Plus Stitch combines soft laser cut bamboo with detailed cross stitch in a kit for you to finish yourself. What a great idea! Suspended in time with Suspended Studio. 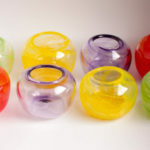 Leah is a professional glass blower and we’re very excited to welcome her colourful creations to our selection. 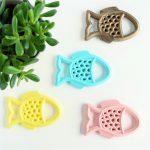 Sweet Pumpkin Designs is, you guessed it, sweet little accessories for your pumpkins. 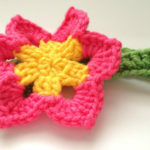 Janie started making hair clips and headbands when she became a mom and working out of the house was not much of an option anymore. 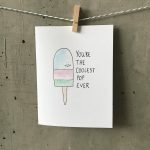 The Paper Lover Co. is Alison’s baby and she designs whimsical paper art and stationary. 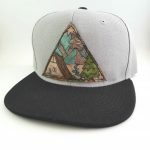 You just have to check our her Alberta and Calgary prints. So cool! Today we’re going to cover quite some ground with the letters N, P Q, R and S.
Let’s start with Needle And Pine: this cute couple makes marvelous mountain shelves and pillows. If you need some wilderness inside your house, this is it. Ohhh, Nerd Alert! 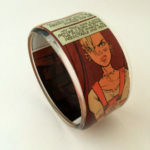 Nerd Mart Customs is Amanda’s project and she up-cycled comic books into pretty much anything. 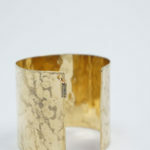 Our favourite are her bangles. 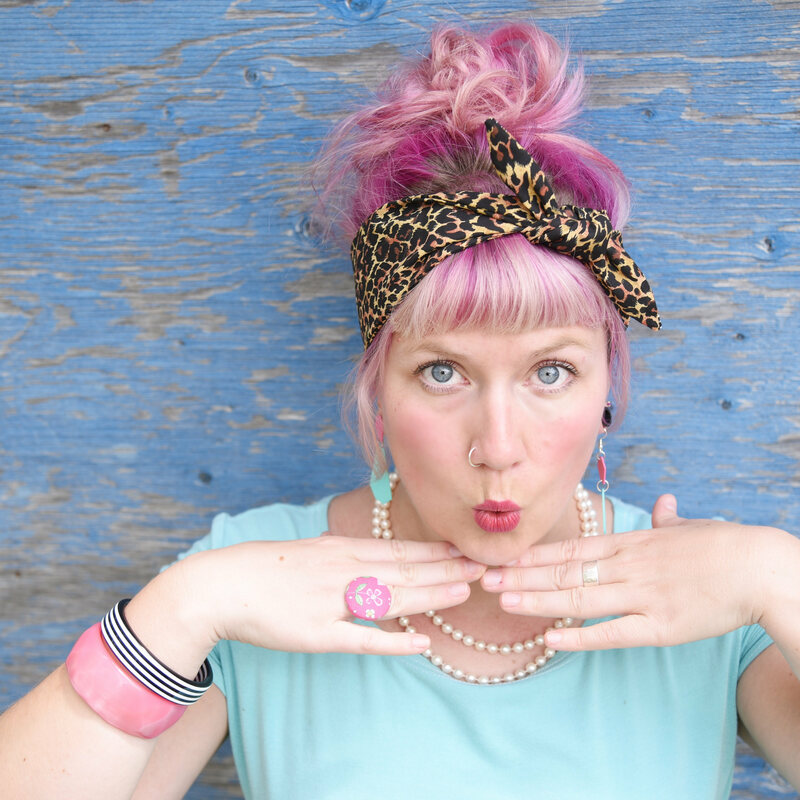 Kait of Pink Chicken Creations is one of our brilliant vintage vendors. I can’t wait to see what she found for us and listen to her tell some great stories about the origin of her goodies. 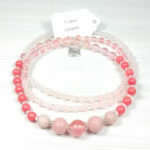 Pink Sun Malas are malas and bracelets by the lovely Sara. Those gorgeous gem stones will help you find your spiritual path. Calling all lovers of mid-century and kitsch! Prairie Bazaar will join us next weekend and we couldn’t be more excited for all those uber-sweet finds. 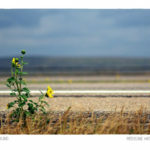 Amy Jo is Quadrophonic Image and adds some rock and roll photography to our market. Her artwork is a perfect collaboration between her artistic and photo journalistic sides. 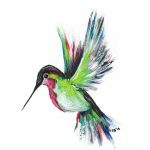 Christine of Quirefly works with a combination of sterling silver, copper and brass wire, semiprecious stones, crystal and glass elements as well as fabrics and interesting yarns, recycled clothing and unexpected finds. Such an exciting mix, we can’t wait to see her jewellery and accessories. Then there is Tiffany, a Rural Creative as she calls her brand. 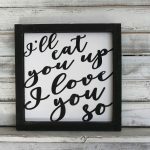 Her rustic signs and wall decor that she makes with old wood and brilliant typography are a delight. Michelle of Sainte Pierre is a natural born knitter. 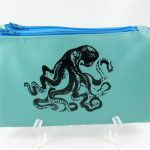 Super cute and the most intriguing designs, we’re so happy to have her join our circle of vendors.